Stellar Four: How Could You Be So Heartless? 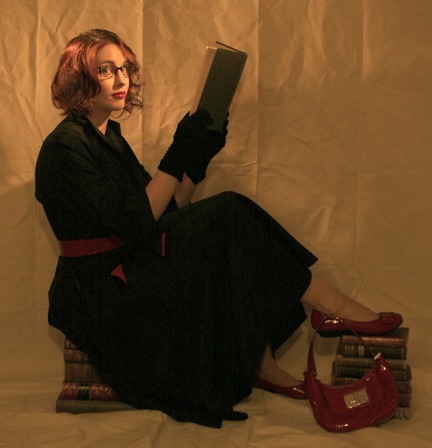 Gail Carriger has done it again! Recently, the fourth volume of her amazing Parasol Protectorate series came out and I couldn't be happier. For months I waited with bated breath to see what would happen to our dearest Alexia, her stubborn husband and the delightful werewolves, vampires and mad French scientists around her. Now it's finally here! I felt like a kid waiting for the bell to ring on the last day of school. I stared down the clock at work like it owed me money, trying to will it to go faster so I could head to the nearest bookstore, buy my copy and eagerly begin to devour it on the train ride home. I heard the "get item" music from the Legend of Zelda games play in my head as I lifted the paperback off the New Release table. I wanted it that badly. I am happy to report that Heartless does not disappoint! All the Victorian wit and preternatural wisdom that Gail is so good at nearly dripped from every page. The opening chapter gave me everything I was hungering for; Alexia and Lord Maccon and Lord Akeldama, oh my! With a flourish, the story took off and I nearly missed my train stop because I was so engrossed in the plot. If you've never read any of Gail Carriger's brilliant Parasol Protectorate series, I implore you to stop reading this right now and get thee to a bookstore. If those newfangled e-readers are your thing, Orbit Books has helpfully made the first three volumes available as a special $9.99 e-book bundle for July only! Read them, marvel over them, and then dive into my review of the latest volume! After the cut, find out what I loved so much about Heartless! Beware, here there be spoilers! I would suggest re-reading the last chapter or two of Blameless before you dive into Heartless. I had utterly forgotten that Lord Maccon had begged for Alexia's forgiveness over her pregnancy. He had thrown her out of his castle and I was fully intent on holding a grudge on Alexia's behalf. I was relieved to go back and remember his apology. Lord Maccon, you were on thin ice there for a moment. Heartless begins in everyone's favorite dandy vampire's home. Lord Akeldama, one of the most memorable characters in the series, is explaining an ingenious plan to Alexia with some werewolf backup. Lord Maccon and his wonderful beta, Professor Lyall are all trying to convince Alexia to let Lord Akeldama adopt her child. London's vampire community is up in arms about the impending birth and this is a clever way to settle some of those ruffled feathers. Lord Akeldama is even giving up his second best closet for the cause! Alexia, almost at the end of her pregnancy at this point, is slightly wary about the idea and demands she and her husband move in right next door. Lord Akeldama is thrilled, Lord Maccon is decidedly less happy about the arrangement. Thus begins one of the major hilarious plot points of the book. Vampires and werewolves living in harmony. Moving into town brings unexpected challenges, such as one of Alexia's fluff-headed sisters coming to stay as well as an uninvited ghost with a dire warning about Queen Victoria. Alexia embarks on an almost Sherlock Holmes-esque investigation to see what the danger might be. Between her detective work and her pregnancy, she has her hands full. The novel is very character driven. Biffy stands out as a unique character I came to care about very deeply. He had been a dandy drone to Lord Akeldama, but a twist of fate left him a werewolf. He wasn't adjusting well and the scenes between him and his old vampire lord were heartbreaking. I clung to every mention of Biffy, hoping he was finding some way of dealing with his new afterlife. Alexia was equally as hopeful as I was and tried to find ways to make Biffy's transition easier. Those were some of my favorite scenes. There is also a stunning reveal about Professor Lyall's past that left me breathless. I hadn't seen it coming at all and it unfolded beautifully. The well dressed author herself. Gail Carriger is brilliant at keeping things hidden in plain sight. So often, a small detail goes overlooked until it becomes the entire focus of the novel. Madame Lefoux, the crossdressing French scientist that Alexia had befriended, exemplifies this point. I won't go into what happens with her because I'll give away half the book, but it is, shall we say, explosive. I don't have many complaints with the novel (besides it being much too short!) but I will say that I wish some parts had been given more depth. At one point, Alexia's atrocious-hat-wearing friend, Ivy, is sent to Scotland to gather some information. We hear about it in a correspondence that Ivy sends back and I dearly wish we could have seen Ivy trying to dig information out of people while she wore one of her hilariously unfortunate hats. I imagine some people cracked and spilled all they knew because they laid eyes on her choice of chapeau. Ultimately, Heartless continued in the excellent tradition of the previous books in the series. It was witty, clever, full of Victorian flourishes and danger. Alexia handles her pregnancy with aplomb and drinks enough tea to keep the East India Trading Company in business. Lord Akeldama is charming, outrageous and surprising. Professor Lyall is calm, collected and cool under pressure. Lord Maccon is at his growly finest. God, I love these characters! The ending of the novel was spectacular and left me howling for more. I may or may not have cried out "no!" when I turned the page and realized that the book had ended. It finished on a suspenseful high note and I couldn't believe I have to wait, again, for almost a year! The Parasol Protectorate books are like a fine, addictive opium and I've now found myself kicked back out of that Victorian den! What will I do until next March? The only thing that makes the wait worse is knowing that the fifth book, Timeless, is the final volume in the series. Say it ain't so, Gail! Say it ain't so! Heartless by Gail Carriger is out now at any fine bookseller (or available as an e-book on those newfangled, unholy e-book readers). I have read the first volume, but it didn't do that much for me. I don't know why, technically I should love this, but I felt like the author tried very hard to be clever all the time and all the trying kind of tired me. But since all of you seem to love it that much, I'm thinking about getting the second volume for my holidays anyway (four weeks to go, yay - and I'm already in the process of picking my books, which is probably my favourite part). Desiree, I've heard that a lot, actually. I loaned the first volume to a friend and she never finished it, saying the author had tried too hard. To me, the thing that makes the books so good and so funny IS the fact that everything is so outrageously overdone and overwrought. Everyone has silly Victorian names and manners. It's MEANT to be that way. It's a huge satire on how crazy some Victorian customs were. Sorta like Jeeves and Wooster books. Everything is to the nth degree and that's what makes it funny. Definitely pick up the next one! I think it may grow on you! Mmmh. I get that she tried to overdo everything and I actually think it worked, it's just that I feel like I can sense her trying to do this all the time. I kind of see her behind a huge desk, biting splinters from a pencil - which, at the beginning, was kind of charming, but later started annoying me. But I promise, volume two is hereby going on my wishlist and I'll read it soon. Love the review! And ADORE these books. I also like your idea of a scene relating to Miss ivy's undercover work. As if she could GO undercover with such outrageous hats!! We must steel ourselves and find alternate modes of entertainment until next March!! I do believe the graphic novel of the first book will debut at SDCC. So now we'll have the visual version of what is happening to tide us over till the next novel.